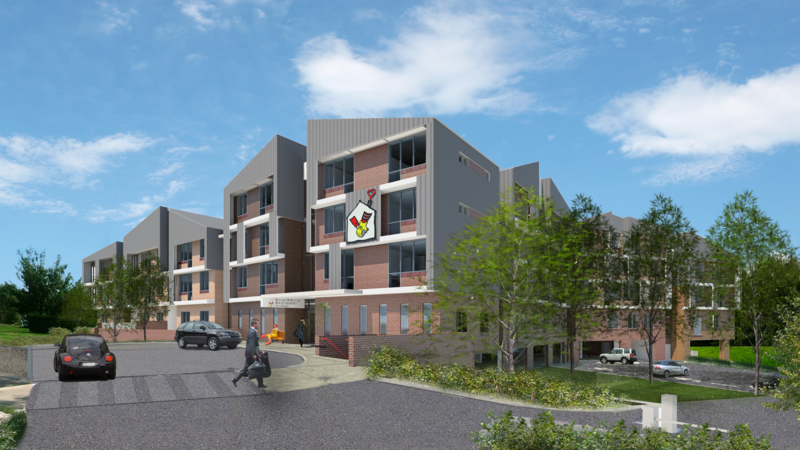 A recent project that CORE Engineering has been involved with is the development of a new Ronald McDonald House in Westmead, NSW. Ronald McDonald House provides accommodation for families of children undergoing treatment at the adjacent Children’s Hospital. The accommodation allows for the families to stay close to their treatment centre while also giving access to expert staff for emotional and moral support. Such remarkable facilities are always in high demand, and this new development expands upon the current accommodation facilities by offering over 60 new residential units. Open lounges, quiet areas, cooking facilities and children play areas are provided to make a difficult time for families as comfortable as possible in this new and modern building. As the fire engineering specialist on the project, CORE Engineering has developed the current fire safety strategy for the project to help ensure that the open and nurturing nature of the project can be achieved while maintaining exceptional fire safety. This includes the integration of quiet lounge areas as part of hallways on each floor, a compartmentless design between office areas and the residential dining area, and an open central staircase that functions both as the primary transit stair for residents as well as being a functional fire stair for resident evacuation and fire brigade intervention purposes. Through this strategy and consultation with the stakeholders, CORE Engineering has been able to ensure the high requirements for fire safety where families are involved are maintained, while allowing for unique designs and concepts to be integrated into the facility.